I’ve been sat thinking how to word this right, to not make it sound too depressing or just completely irrelevant. I am forever finding that I am in complete competition with myself. I mean, it’s always good to try and better the previous version of yourself, whether its from the moody/sad version of you from yesterday or the very self-conscious version of you from last year. I just find myself picking at everything. no matter how hard I try, I seem to make a mess… maybe I need to accept that ‘we can’t do it all’, especially all at the same time. I find myself trying to be the best mum to my three beautiful children, be the best girlfriend to my soulmate, a lovely homemaker – one that can keep on top of all the housework, meal planning, cook nice meals, to be better at organising in all aspects, to build a photography business, trying to build my blog in a better way to suit my style, blog more about what I love & to help others, and on top of all of this, I still feel like i’m fighting my own demons with my ‘self-doubt’, the feeling that on this wonderful journey of parenthood – I have lost myself. The doubt of me not remembering how to be – ME. Im so use to being a mama now, that i tend to put myself to the back of the queue, my interests, my hobbies, my style, me. My partner gets his time for his fitness & hobbies where as I either don’t get time, or I’m so tired at the end of the day I don’t have the energy to make time. but I need to! I am trying to keep up with my post-natal fitness for my tummy muscles split (really bad!) but I just need to remember that I can’t do it all. Also in regards to our mummy daddy time, we keep saying we’re going to have a date each month, but having three small kiddies, it’s kind of taken a bask seat. but we will make this happen soon! I just find it hard switching off ‘Mummy’ mode and being me. I find it hard to not be with my children as they are still small. It’s all learning, and a gradual process I guess. That being said, I honestly wouldn’t have it any other way really, they’re not small for long and I want to make the most of these years. The main things I want to try and do and get use to doing is being more organised. it helps so much more with an easy flow of life! (Getting dinner prepped, prepping the next mornings breakfast for example) it all helps. I just make hundreds of ‘to-do’ lists instead and end up getting nothing I wanted doing done, at all. Then that disheartens me even more. A little catch up from the weekend……..
My desk is a tip, the house is tidy though from an all weekend blitz. We’ve had a wonderful time visiting a local church for a harvest festival this morning which the girls enjoyed taking part in. To top it off we then had a delicious roast dinner in another village, It took a little wobbly turn as at the park nearby, Hal took a tumble over the see-saw and cut her chin open, but she was super duper brave. This evening we have made home made rice pudding & oat crunchie biscuits, delicious! I treasure little moments like these, as they make it all worthwhile. 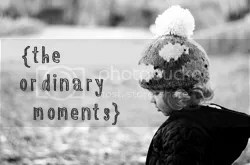 These are ordinary moments for me, that symbolise the ups & downs. I will stop beating myself up if I don’t get it all done right now. A cardboard box, water spray and a whole lot of cheekiness. I think its just what we have inside us!? a drive to be superheroes! I think its such a vicious circle as being in competition with yourself can be very dangerous, but being our own motivation can be such a positive thing too. I just find that I put so much pressure on myself sometimes, which distracts me from thinking straight, resulting in more disappointment. This week i've taken a bit of time away from my blog, especially in the evenings just to reflect, relax and just switch off (I can't help but make a couple of mental notes but one step at a time!) seeing things with fresh eyes is a good thing.